Deep Steep Sugar Cane Foot Scrub | £12.95 // Despite it being summer, my feet are in a horrible state and I think this is due to wearing sandals every day to work. I am also very lazy when it comes to applying foot cream, I hate my feet feeling sticky, so they've become very dry and have even cracked in one place on my heel. A few weeks back I made an effort to look after them a bit more and to apply moisturiser each night. To inject even more moisture into my skin I've been using this foot scrub from Deep Steep. Lets just start with the smell - it's good enough to eat! It smells like peppermint bark. It's a sugar scrub which is my favourite type as it's abrasive and the sugar dissolves into the water so there's no mess or waste. My favourite thing about this scrub and why I reach for it over a standard body scrub is that it's incredibly moisturising. It's packed full of different oils and once you wash away the sugar you can really feel them. This would probably be enough if my feet weren't so dry but I do need to follow up with a moisturiser afterwards. 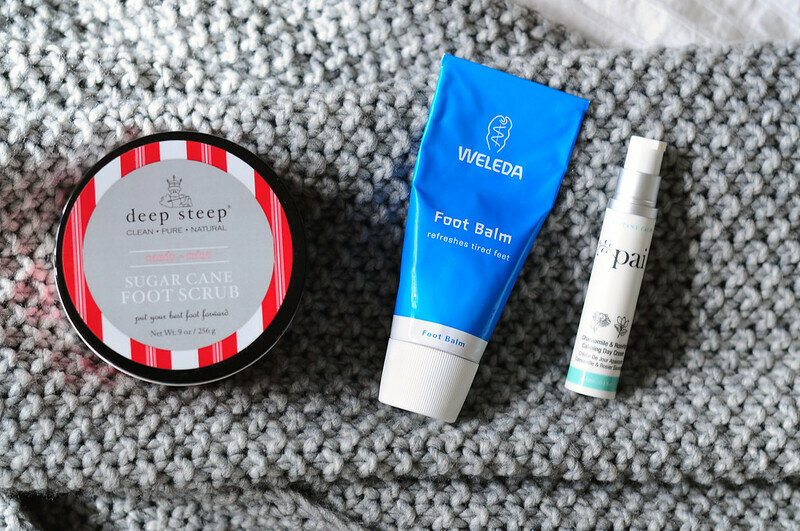 Weleda Foot Balm | £9.95 // This is the moisturiser I've been using after the foot scrub. The two scents don't really go together but they work so well so it's not too important. I wouldn't say this is a balm as it has more of a cream consistency. It reminds me slightly of Skin Food so if you've tried and liked it then you'll probably like this. Once it has sunk in it leaves your feet feeling slightly matte which is perfect for me as I hate the sticky feeling when lotion doesn't sink in properly. The only downside is that I've been going through this really quickly although this is probably down to my skin being so dry. Pai Chamomile & Rosehip Calming Day Cream | £34 // It's not often I find a moisturiser that I really like but from the first use I knew this one from Pai is something special. It gives my skin enough moisture without clogging my skin or feeling too heavy. It also doesn't irritate my eczema which happens sometimes with certain creams. Despite it being called a day cream I use it both day and night and have only had good results from it. Once I've finish Kate Somerville's Goat Milk Cream then I'll probably buy the full size of this. 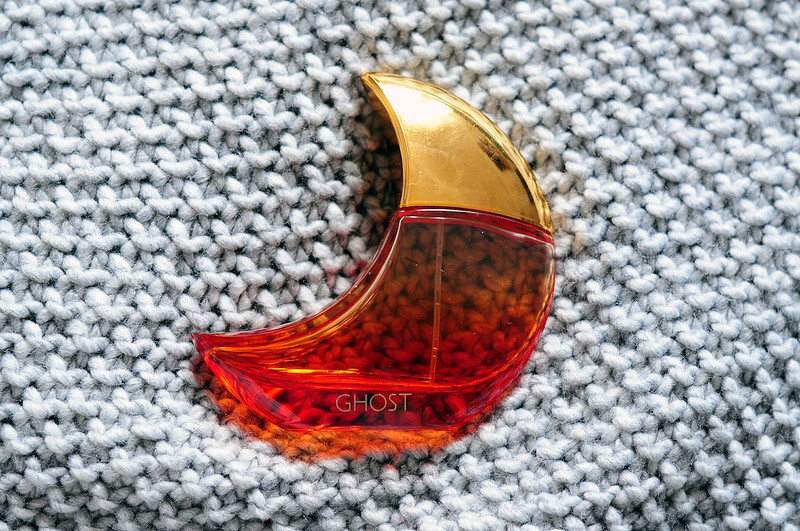 Ghost Eclipse Perfume | £34 // I've mentioned this perfume a couple of times on my blog recently and since it's nearly empty I thought it best to mention it in a favourites before it's part of an empties post. As I've worn this over a couple of years when I smell it I immediately think of summer. The bottle shape isn't one of my favourites but I can ignore this as it's the scent that really matters. The notes that are most prominent when I smell this are apple and bergamot with a hint of musk. There are also notes of lemon, mandarin, peach, freesia, lotus flower, rose and amber. Essie Neo Whimsical Nail Polish | £10.95 // NOTD post here. Neo Whimsical is one of my favourite nail polishes but I had completely forgotten about it as I was going through a phase of wearing bright polishes. When I'll Tinsel You In dropped though the letter box I knew I had to pair the two together. The black and white glitter looks amazing over this pale dirty pink-purple. OPI I'll Tinsel You In Nail Polish | £8.95 // I don't often reach for glitters but when I do this is the type I love. Confetti glitters looks like nail art without all the effort and are best paired with lighter pastel shades. Nubar Citadel Nail Polish // NOTD post here. Citadel is another polish that immediately popped into my head when I was choosing what to wear with I'll Tinsel You In. Why is it that all of the grey nail polishes that I love are eventually discontinued. Models Own stopped selling Misty Grey and then I found Citadel as the perfect alternative and now Nubar have discontinued it. 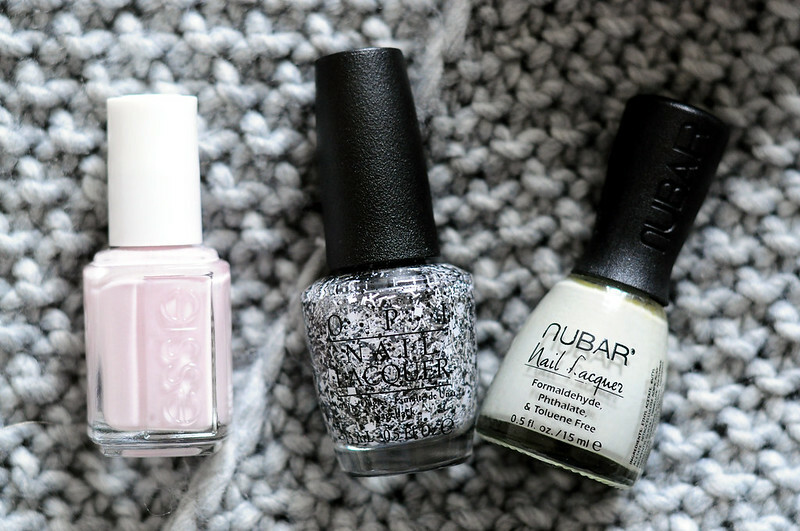 The search for a new grey nail polish will have to start! I like the sound of the foot balm! I have been a long time lover of the Hemp Foot Protector from TBS but its time I moved on and tried something else! The foot products sound great. I struggle with keeping my feet moisturised so these are definitely products i'd be tempted to try! Fancy read? Check out my latest post​ |​ ​​​ How to get Bikini Body ready.... Just put on a bikini?